by Oscar N. Vick III, self published. 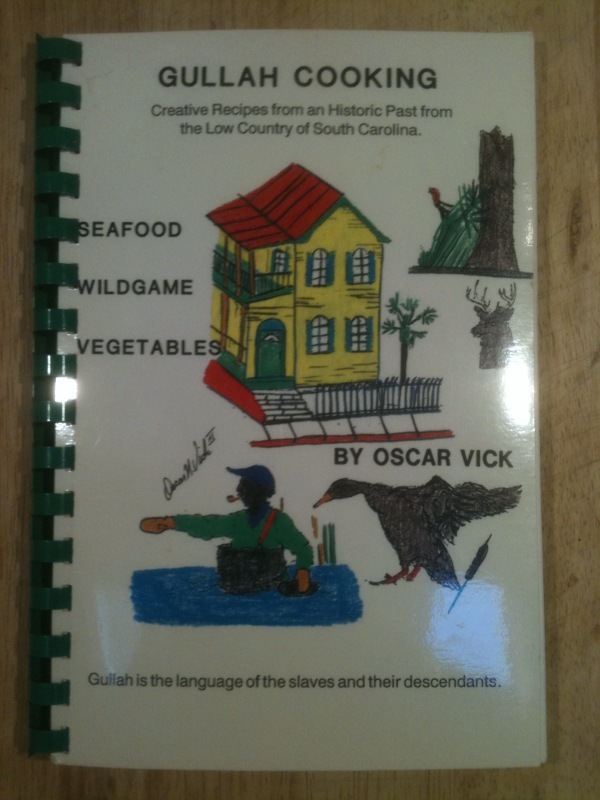 Probably the first generally available volume on the cookery of the descendants of South Carolina Low Country slaves, 1993 printing of the 1986 publication. Slick covers, drawings by the author on the cover, green comb binding. The cookbook section is 67 pages, beginning with seafood both straight up and in stews and gumbos, followed by wild game, vegetables, plus a few breads and desserts. The front sections, which one might want to skip over, are devoted to the author's verses in Gullah dialect and a mercifully short six-page excerpt from a folksy novel (he has named one character The Right Reverend Doctor J. Toodlums Bumpnally). Stick with the recipes. Excellent condition: VG+.